In 1963, a then 19 year old Bruce Bailey joined his father selling new caravans from the front yard of a rented house in Heidelberg Heights. 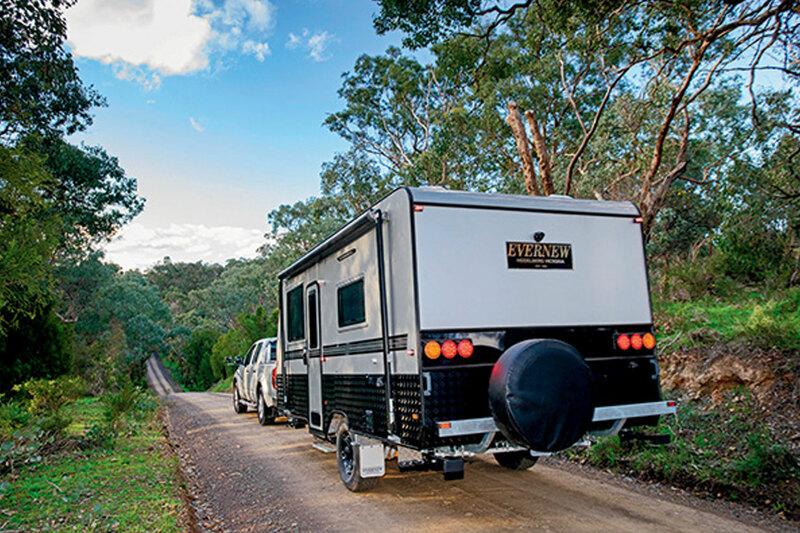 They never dreamed that more than half a century later the Evernew brand would be one of the most well loved Australian caravan brands. Initially they bought complete new caravans with plywood sides and aluminium roofs from a local Heidelberg manufacturer, branded them ‘Evernew’ and sold them to willing buyers for around £300 (pounds) – the equivalent of $600 – from a rented house in Bell Street. By the late 1960s the caravan industry was growing rapidly, but the company supplying him with new vans got into trouble, Bruce decided to build his own under the Evernew brand, which by then had started to attract a loyal following. Caravans in those days were predominantly made from unpainted silver aluminium, but the first Evernew manufactured caravans built in leased premises in Heidelberg in the early 1970s were finished in white, helping them stand out from the crowd. 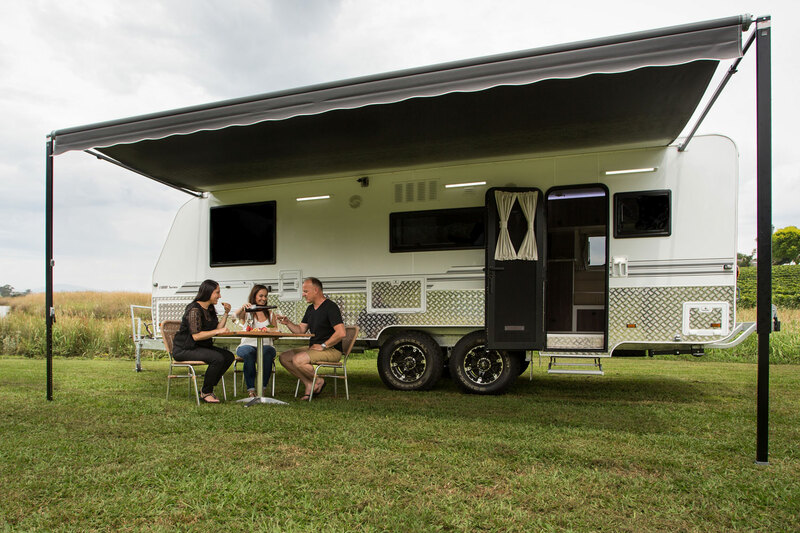 The advent of the pop-top caravan, new materials and the availability of a wider range of comfort features in the 1980s widened the choice to the caravanning public and helped the industry get back off its knees, but Evernew chose to remain a custom builder. Evernew has always been a family business with Bruce, his son-in-law Darren, daughter's Amanda and Leanne playing a large part in the day to day business. Bruce remained a familiar face in the Evernew yard until his retirement in 2017, which paved the way for a new face to drive the Evernew brand. Dani Bib came to Evernew Caravans through his experience in the motor vehicle industry, he quickly identified a fantastic opportunity to build a business for his family to be part of. Dani, alongside his wife, two sons and daughter-in-law took over the Evernew brand upon Bruce's retirement with a clear vision on bringing a fresh outlook on the caravan industry, while retaining the history and quality that Evernew owners have loved. In 2017 Evernew Caravans initiated the process of re-aligning the Evernew brand starting with a new logo that is modern, whilst still paying homage to the old brand elements and retaining the elements that identified Evernew immediately.